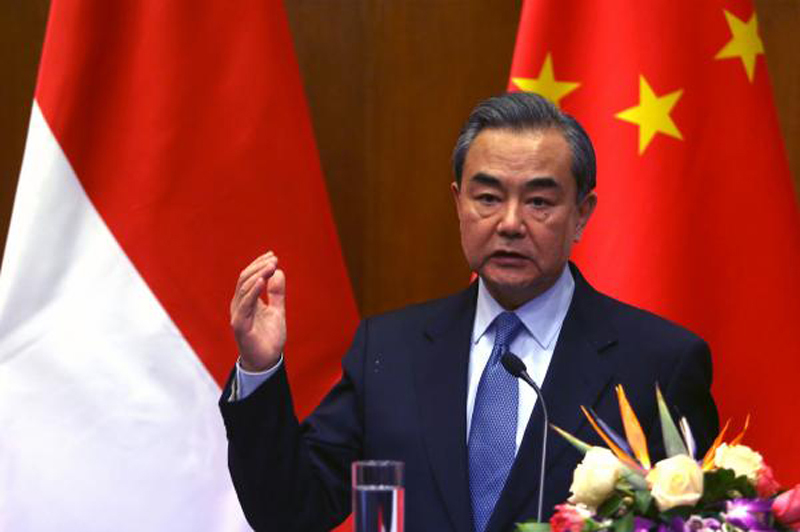 Chinese Foreign Minister Wang Yi is traveling to Korea, possibly to meet with Kim Jong Un following the historic summit in South Korea. Beijing's foreign ministry stated Monday Wang is to stay overnight in Pyongyang, traveling to North Korea on Wednesday and leaving Thursday, Yonhap reported. Wang might be eager to meet with North Korean officials for several reasons, according to the report. Coordination between the two traditional allies might be a priority for Beijing, ahead of the much-anticipated summit between Kim and U.S. President Donald Trump. Chinese spokesman Lu Kang said Wang is traveling to North Korea upon the invitation of his North Korean counterpart Ri Yong Ho. Beijing did not confirm the topics of discussion but the two sides are likely to coordinate on "denuclearization" measures. China is a signatory to the 1953 Armistice Agreement that ended the fighting during the Korean War. South and North Korea had agreed at the summit Friday to take steps toward replacing the truce with a peace treaty. China is also North Korea's largest trading partner, but it is not clear whether international sanctions that have pressured North Korea are to be discussed during Wang's meeting in Pyongyang. Chinese media is reporting President Xi Jinping could visit North Korea sooner than expected, with an early June date that could follow immediately after Kim's summit with Trump. China has been controlling the message on improved ties with North Korea online, South Korean television network SBS reported Monday. The homepage of the Chinese embassy in Pyongyang published photos from the Xi-Kim summit in March. The North Korean embassy in Beijing has also taken down a display of photographs depicting its missiles, according to Yonhap.